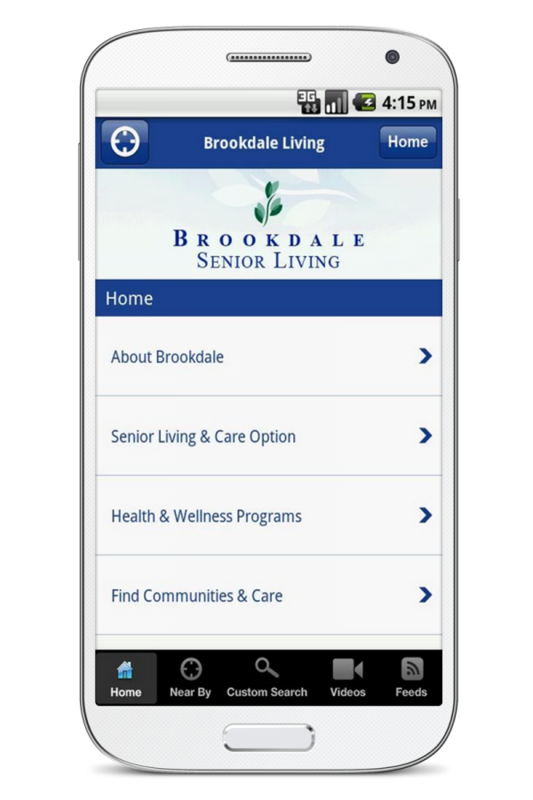 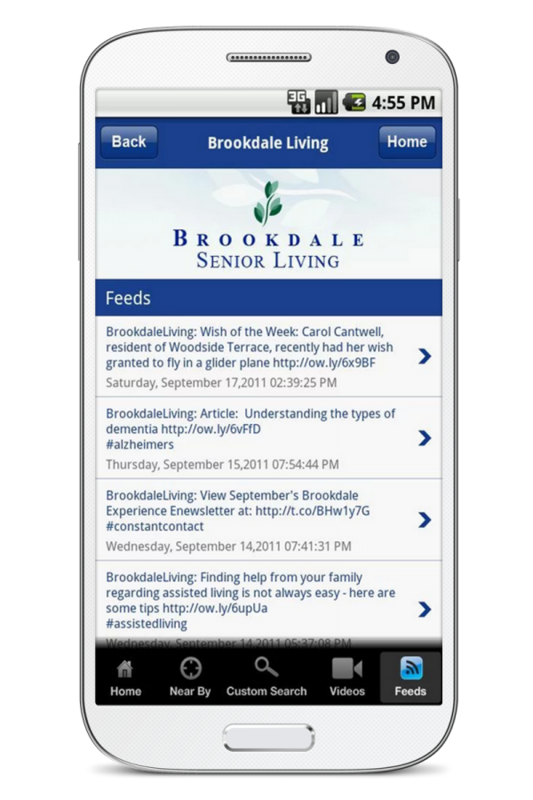 The Brookdale Senior Living application features all 550+ Brookdale communities nationwide, YouTube video feed, Twitter feed, senior living options guide, and health and wellness information. 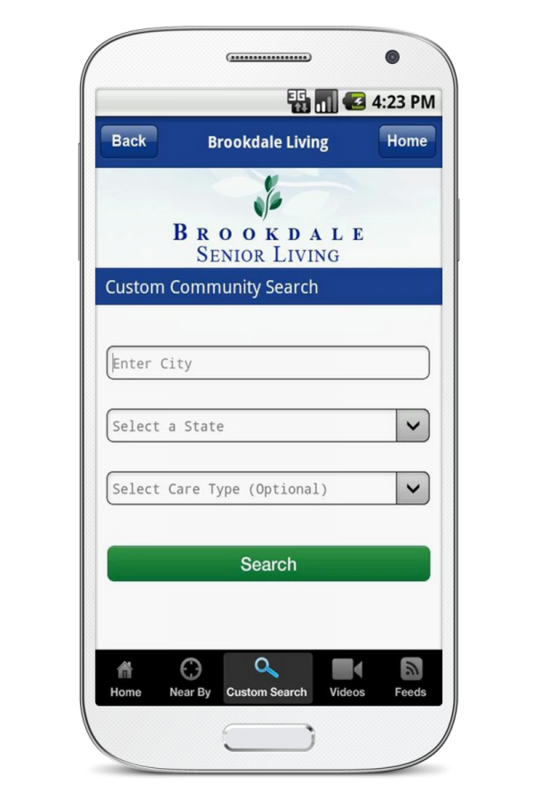 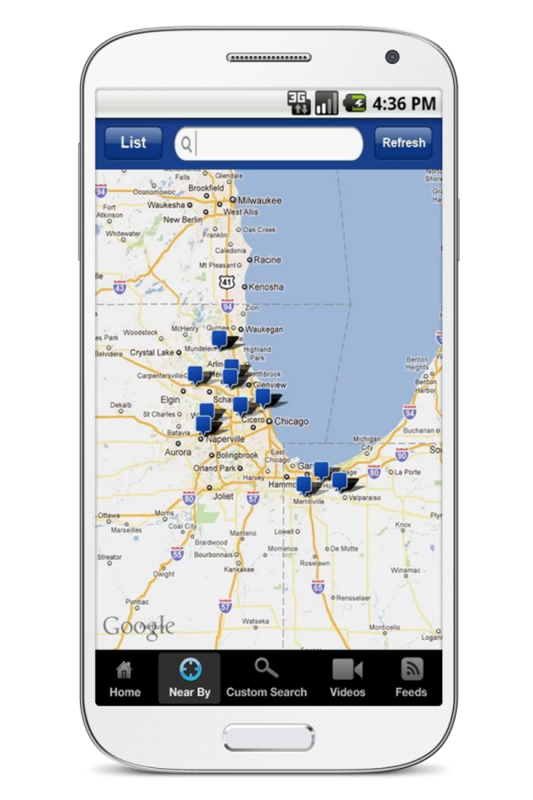 Use the custom search to find a Brookdale community near you today. 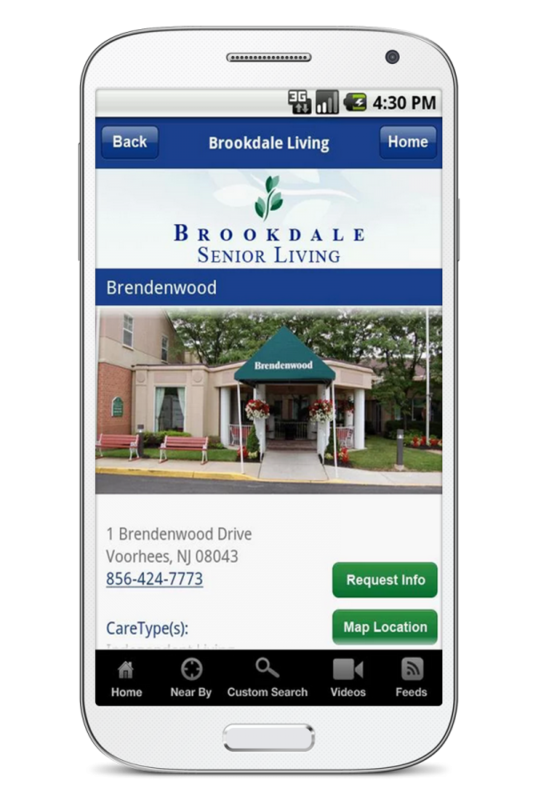 Brookdale Senior Living is a provider of exceptional Independent Living, Assisted Living, Alzheimer’s and Dementia care, and Skilled Nursing care, and Continuing Care Retirement options for seniors.